Today, 15 January 2019, Dr. Abduljalil al-Singace turns 57 – spending yet another birthday behind bars. Dr. al-Singace is a Bahraini human rights activist, engineer, and blogger serving a life sentence for his activism. 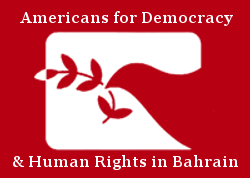 Americans for Democracy & Human Rights in Bahrain (ADHRB) condemns this sentence against Dr. al-Singace and calls on the Government of Bahrain to immediately and unconditionally release him and all other prisoners of conscience. Dr. Abduljalil al-Singace was arrested and sentenced to life in prison following his involvement in the 2011 peaceful pro-democracy protests in Bahrain. Dr. al-Singace suffers from post-polio syndrome, resulting in paralysis and confining him to a wheel chair. Bahraini authorities have subjected him to torture while in prison, even using his disability against him to enhance his suffering. Since his imprisonment, Dr. al-Singace’s health has sharply deteriorated, yet prison authorities have denied him adequate medical treatment, including for low white blood cell count and low potassium. Prison authorities additionally have refused him rubber stoppers for his crutches, resulting in falls on the prison floors and subsequent ridicule from prison staff. While in prison, Dr. Abduljalil al-Singace has gone on hunger strikes to protest against the prison’s use of collective punishment, torture, and humiliating practices, as well as the general worsening prison conditions. On Dr. al-Singace’s 57th birthday, ADHRB calls attention to the unfair and abuse treatment he has been subjected to at the hands of the Bahraini Government and urges the kingdom to release Dr. al-Singace and all prisoners of conscience.